Contaminants such as lead may be in your soil due to past property uses or may be naturally occurring. For example, lead that was used in gasoline and paint before 1978 may still be in the soil close to roadways or older houses. Lead is not absorbed by most plants, so the greatest source of exposure to lead is through eating contaminated soil or dust. Washing hands after gardening, and washing/peeling fruits and vegetables will prevent most lead exposure from home-grown produce. Learn more about lead in soil by watching this video created by ATSDR. 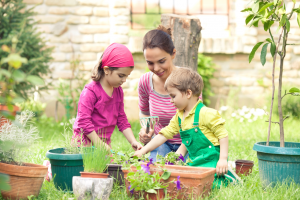 Other contaminants such as pesticides and heavy metals other than lead may also be a concern, so practicing good hygiene is always a good idea, even if your soil tests low for lead. 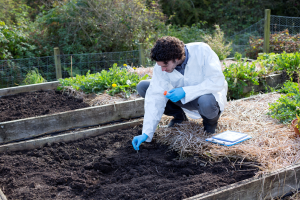 How do I reduce my exposure to soil contaminants? How can I have my soil screened for lead? Attend a soilSHOP! 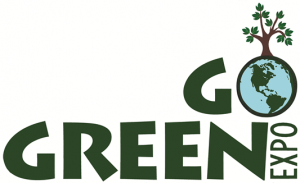 The next soilSHOP will be at the Go Green Expo in Newport News on September 9th at Brittingham Mid-town Community Center, 570 McLawhorne Drive, Newport News, VA 23601. Make sure to bring a sample from your yard or garden and a fill-out the soil information form below. More information can be found in the soilSHOP videos below. Step 2: Collect Soil – For a large area, collect soil from 5-10 random spots in that area, and combine in a clean container. For a small area, collect soil from 3 random spots and combine in a clean container. 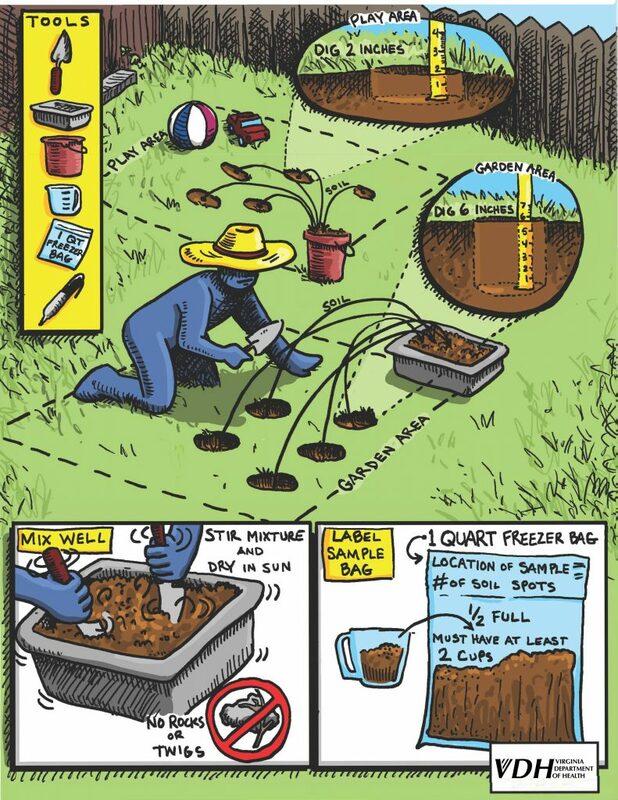 Step 5: Transfer 1 – 2 cups of the mixed soil into a clean one-quart zip-top bag. Note: For more than one sample, repeat steps 1-5. Rinse your container between samples. Limit of 3 sample bags/person. Paso 2: Colecte el suelo – Para un área grande, colecte suelo de 5-10 lugares al azar dentro de su área de interés y combine en un recipiente limpio. Para un área pequeña, colecte suelo de 3 lugares al azar y combine en un recipiente limpio. Paso 3. Mezcle el suelo en un recipiente limpio. Paso 4: Mientras mezcla, remueva cualquier piedra, raíces u hojas que encuentre. Favor de no utilizar cualquier tip de llama, horno o secador de pelo para secar la tierra. Paso 5: Transfiera 1-2 tazas del suelo mezclado a una bolsa limpia Ziplock de un cuarto de capacidad. Learn how to collect a soil sample by watching this video created by ATSDR!